Holloween hang-over? 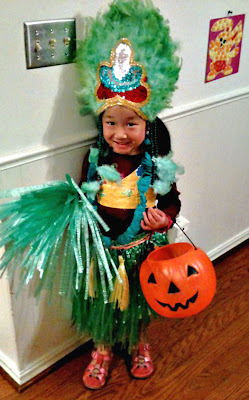 Well, I'm sure a lot of kiddies out there haven't had enough of their treats yet and are still hanging on to their colorful, over-the-top, or whimsical costumes! 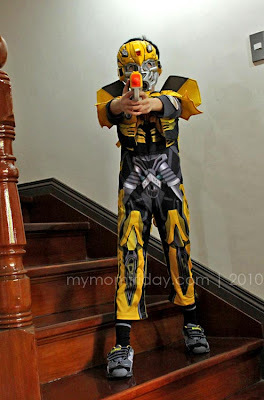 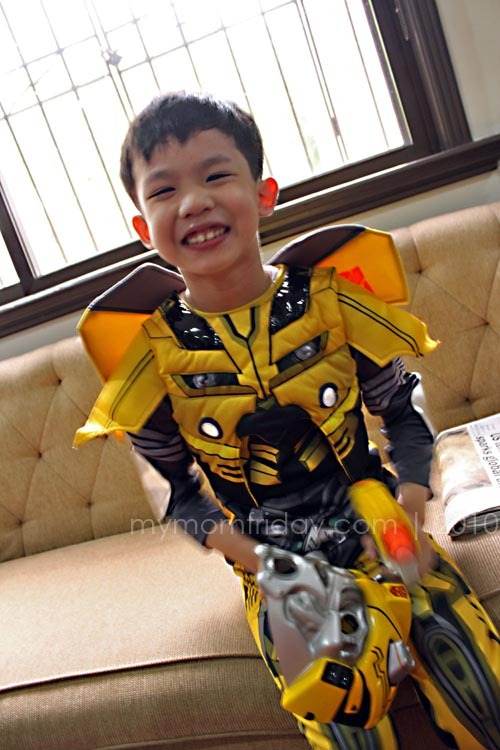 My boy had a change of heart and insisted on wearing his macho Transformer BumbleBee suit (which he has obviously outgrown -- check the hem!) instead of the fairly new Harry Potter gear. So guess who got lucky to take on the wizard's cloak? Over the weekend, I thought I'd invite my Facebook friends to send in some captured moments of children in their cutest Holloween costumes! Creative, unique, and off-the-charts cuteness factors made these snapshots Mom-Friday's favorites (in no particular order). 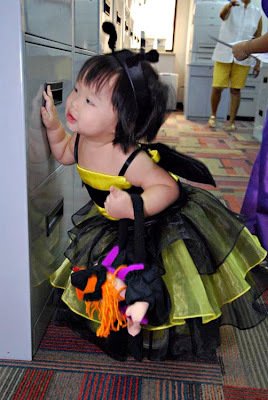 Baby Bumble Bee : "Mommy's office has the best hiding place ever!" 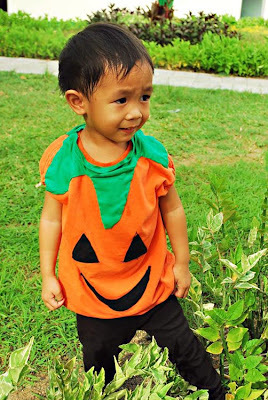 Pumpkin Boy: "Hey! Who plucked me out of my pumpkin patch?!?" AquaMan Goes Green: "Litterbugs beware! 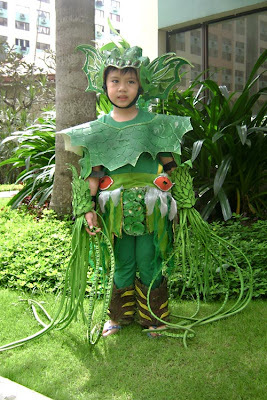 My seaweed tentacles can catch you!" 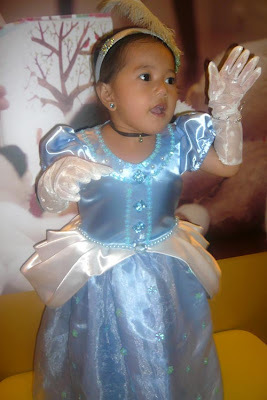 Enchanting Cinderella: "Wait for me my prince...I'll be back..."
Hawaiian Princess: "Um...does the pumpkin pail complement my fabulous hula outfit?" 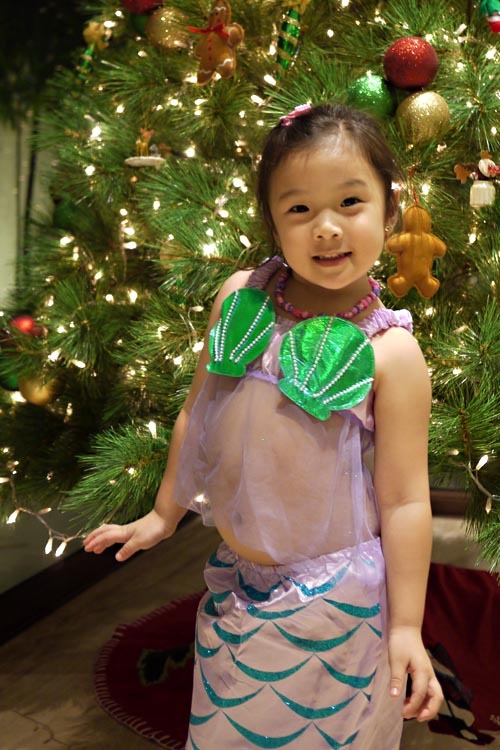 Mermaid In The City: "I'm ready for my close-up now." 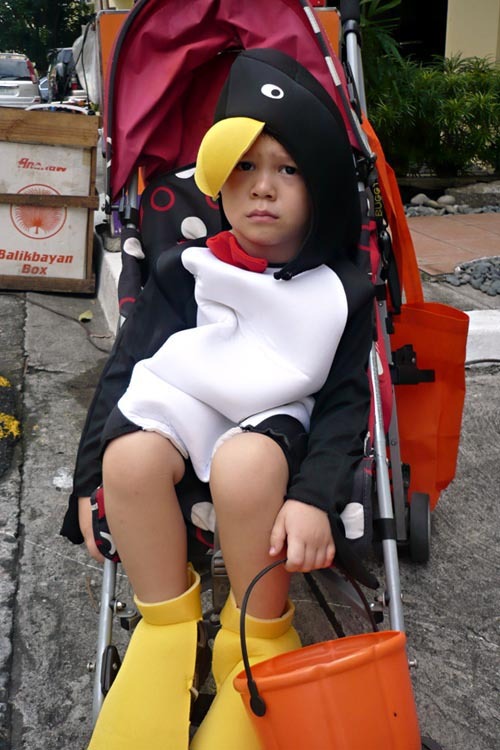 Penguin Dude: "I just had my flippers cleaned, so don't make me wobble!" Save the best for last? 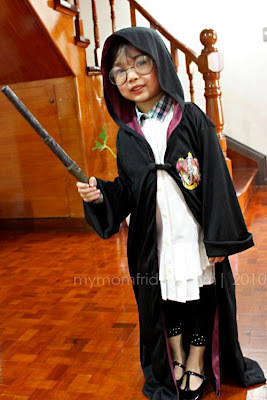 This is pure ingenuity from mom Frances...awesome! 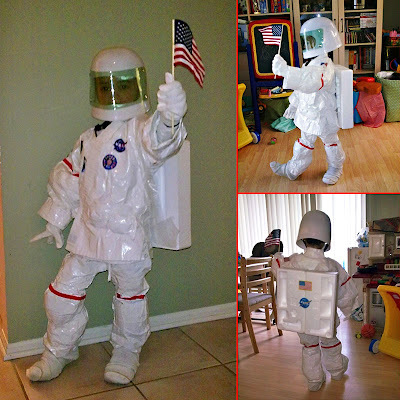 21st Century Astronaut: "Houston, I'm ready for Mars!" Taekwondo uniform transformed to a space suit with duct tape+styropore+lotsa mom's love+imagination! 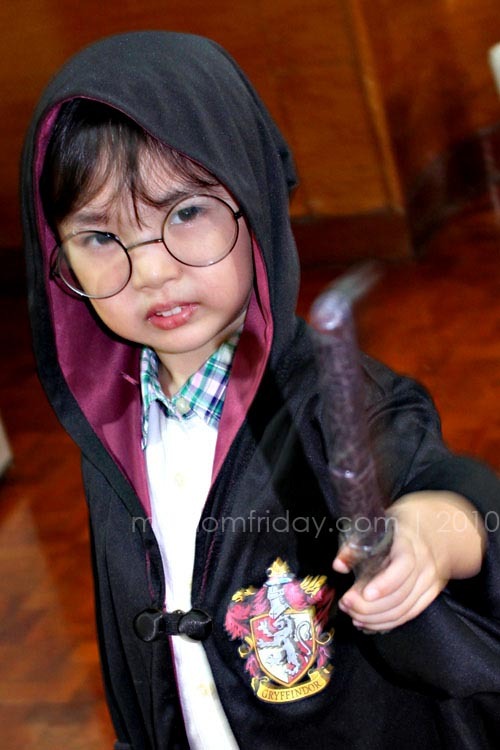 Find out here: Harry Potter Is In The House!